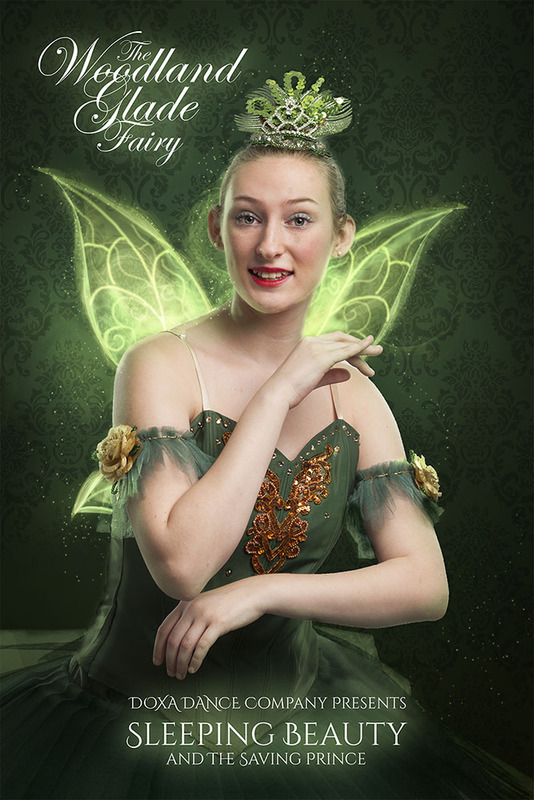 Introducing Crystal Fountain Fairy Performed by: Hannah Miles A free flowing and sweet fairy who grants the Princess Aurora with Honesty. 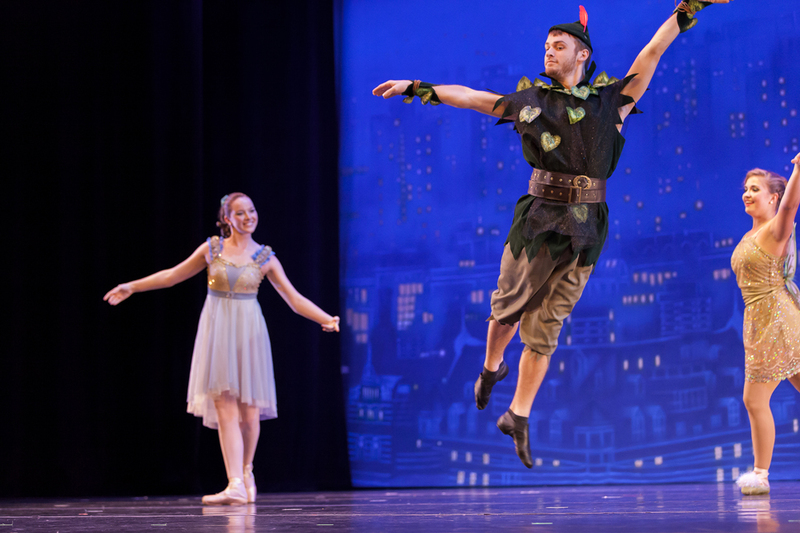 Introducing Diamond Fairy Performed by: Elisha Priebe A glittering and bright fairy who graces the Princess Aurora with the gift of Generosity. 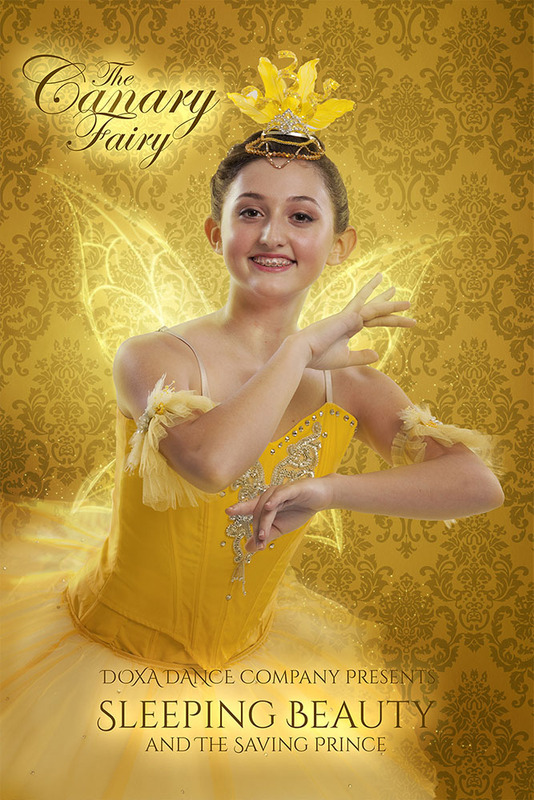 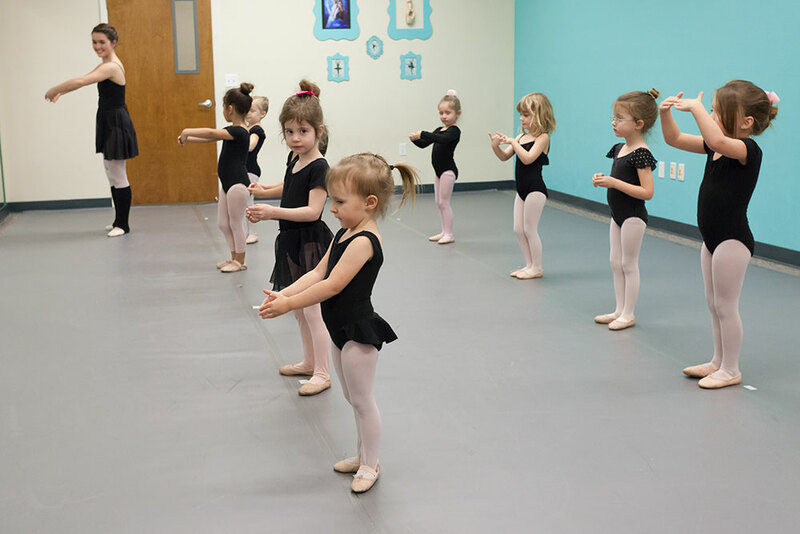 Introducing Canary Fairy Performed by: Kaylee Sonntag A dazzling fairy who flutters to and fro, and gifts Princess Aurora with Songs of Praise. 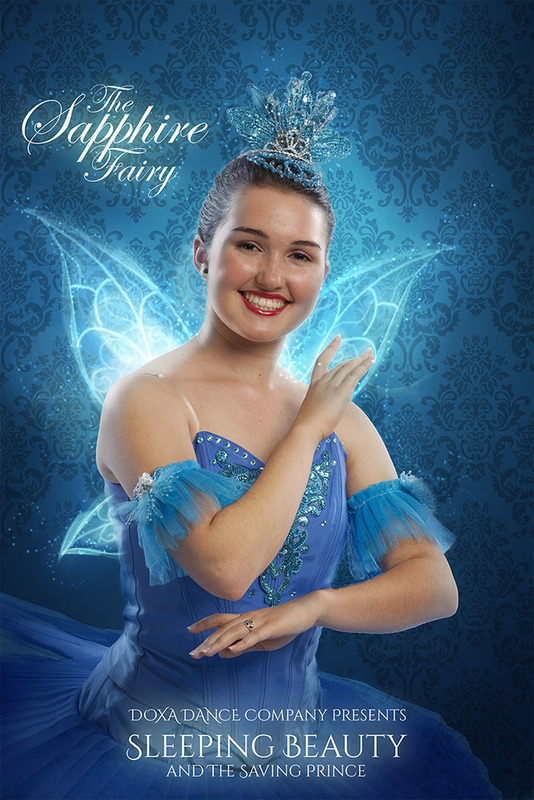 Introducing Sapphire Fairy Performed by: Hannah Sonntag A spirited and sprightly fairy who presents Princess Aurora with the gift of Prosperity. 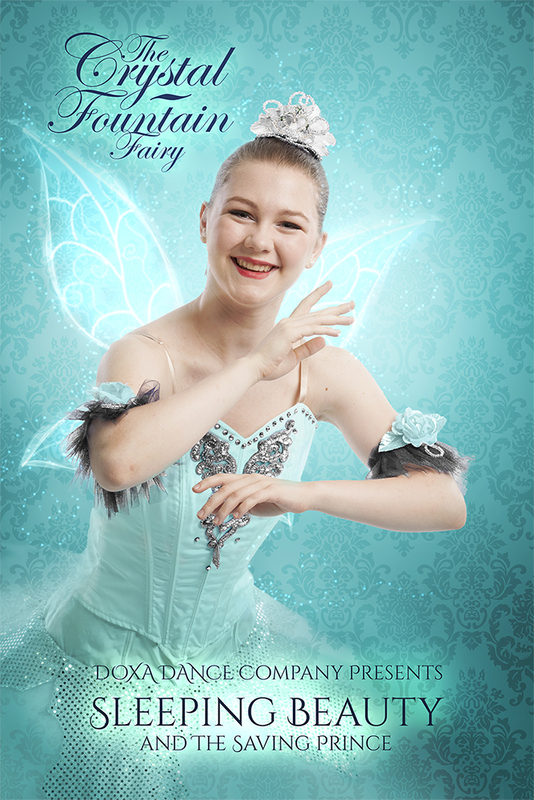 Performed by: Dory Turner A delicate and lovely fairy who gives Princess Aurora the gift of Purity. 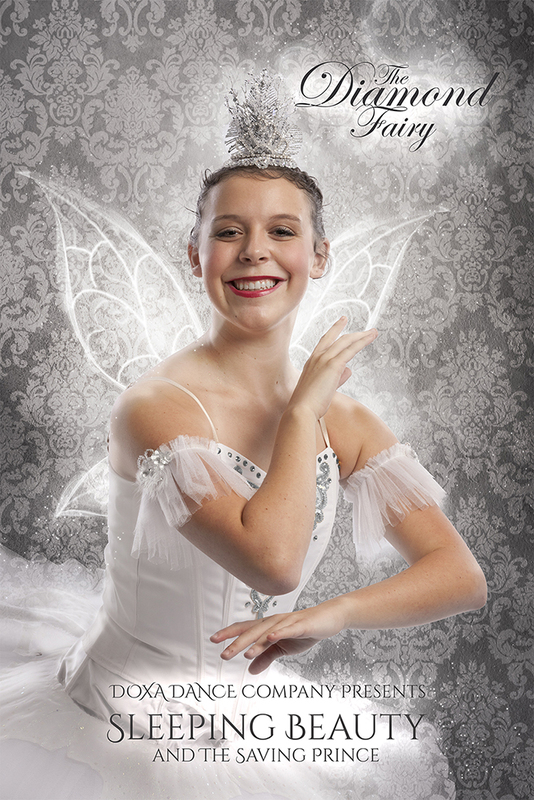 Lilac Fairy Performed by: Leah Palmer An eloquent and graceful fairy who grants Princess Aurora with the gift of Grace. 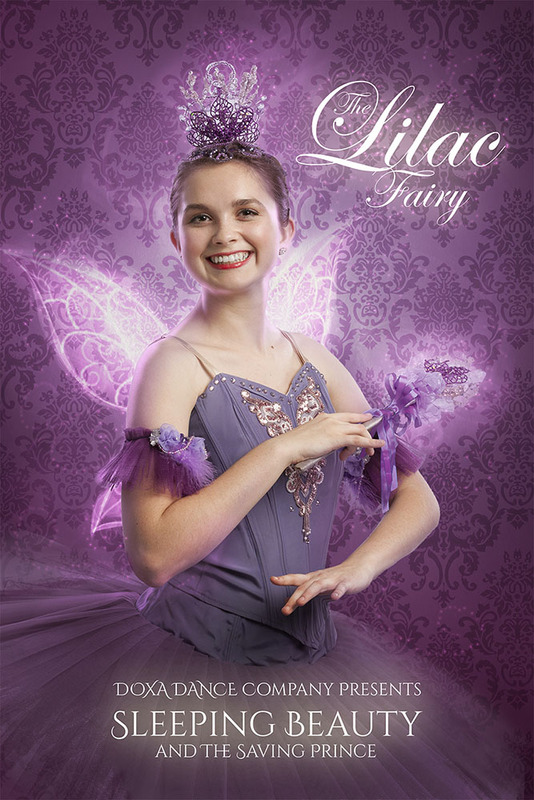 Lilac also plays an important role in altering the curse placed on Princess Aurora by the evil Carabosse. 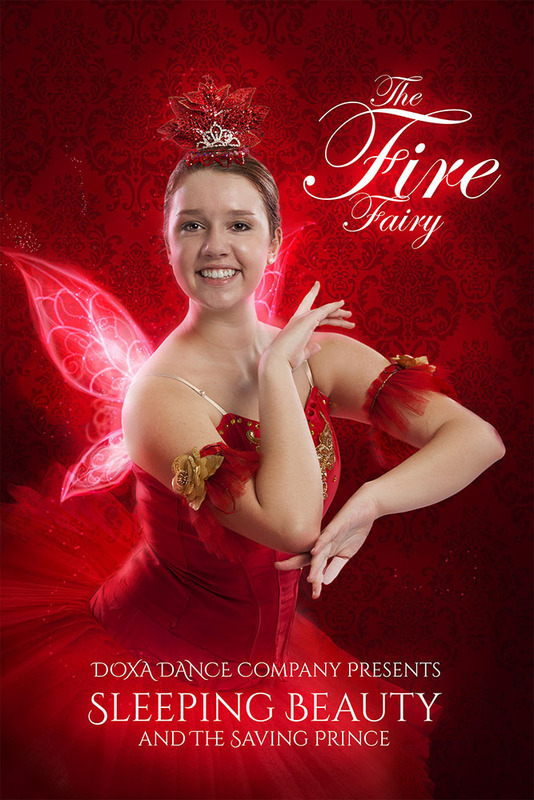 Introducing the Fire Fairy Performed by: Kennedy Kincaid A passionate and powerful fairy who bestows Princess Aurora with the gift of Strength.